Long line, but it moved fast once the doors opened, as the expo is huge. Houston skyline shirt, plus some freebie buttons and a dogtag that I'm not sure what I'll do with. Glad I bought the shirt on Friday, because when Andi came to the expo on Saturday afternoon, they had a grand total of four of this design remaining. They sell out so fast! I also bought the blue hat at that booth, and the Run Happy visor at another booth. 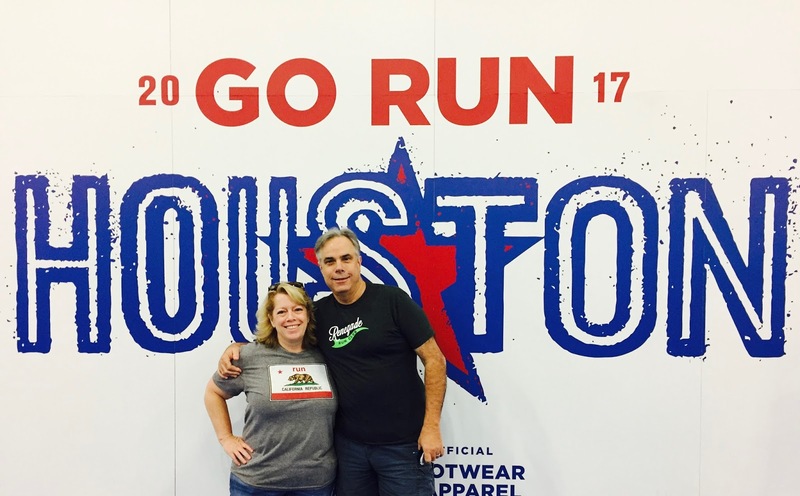 I saw this shirt at the Fleet Feet booth from across the floor and made it my mission to get around a bunch of people to see if it said what I thought it said. 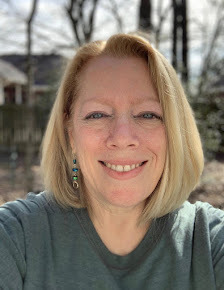 It did, I quickly tried it on over what I was wearing to make sure it fit, Jeff snapped a picture, and boom - got in that long line behind me to make my purchase! This shirt describes me and my running perfectly. I feel like an official runner whenever my name is on a sign like this! I came across the BFF Buffer booth, where I met the owner, Josh, in person - I've been emailing with him for nearly two years now. I had fun talking with him, and ended up helping out a woman who'd come to the booth; pretty sure she ended up purchasing two of them (one for her, one for her daughter). I swear, these things pretty much sell themselves once you try them. Anyway, it was entertaining. Later on, Karen texted me this picture - Jimmymeow left his signature near our spot, LOL! 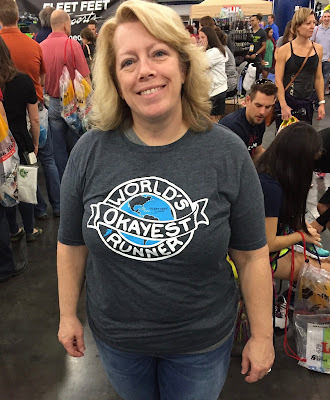 Diane was lucky enough to be at the expo on Saturday when Meb was there...as she was wearing two layers, she managed to do a strip job while in line so she could have him sign her Renegade t-shirt! Because we were staying at the Hilton, it was an easy walk across the skybridge from the hotel to the expo, so we ended up going there several times. It was entertaining to wander around and people watch, as well as check out the merchandise, although we didn't end up buying very much. 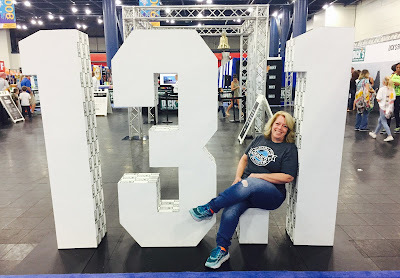 I feel like there might not have been as many vendors as last year, but it was still a good expo, and as always with Houston, packet pickup was a breeze. This was a good experience, from start to finish. I always get excited for Big expos (especially if it's one i've never been to before). I hate the lines though! I was surprised how quickly the lines moved when I was buying the shirt - they had a lot of cashiers. Still, that will make or break a sale with me sometimes, because I hate to wait in lines most of the time. I'm usually not a "big expo" person. I tend to get overwhelmed. Maybe if I went earlier instead of last minute??? But, I love the skyline shirt. Great design and colors! When we were there just as it opened, it was great, crowd-wise. It got busier, but we left and returned later in the day. I don't like crowds either. 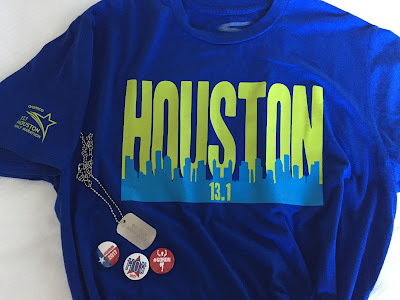 Pretty fun for me to see the expo pics, knowing that I've been inside, wandering through a different type of expo :) That skyline shirt you got is awesome! And Okayest Runner is so fun too. Oh yeah, it must look weird to see the George R. Brown full of runners and their things instead of quilters and fabric! The Expos are the best thing about big races! You know when I did the Army 10 miler, Little Helen & hubby met us there and she ended up buying several things. Expos - not just for runners! I want that shirt. I'm on a mission to find one! You take the best pics!! Love them. I would love to meet Mb!! Meb is just the nicest person. I have "run" the Lululemon half in Vancouver, BC the last year threes and each year the expo which is limited edition lululemon clothing has gotten crazier. Last year the line started forming more than 15 hours prior to the 7am store opening. My friends and I got in line at midnight and basically spent, by choice, the night trying to catch some sleep on the street and not our beautiful hotel beds. Needless to say not what you want to do the day before a race. That was the final straw in determining that I will not return for this otherwise top notch race. Perhaps the most frustrating part was the ladies who allowed their friends to enter the line just prior to store opening. Ok I will stop complaining but glad you were able to find such fun gear and still enjoy your day! Holy moly, how crazy that they encourage lining up like that! 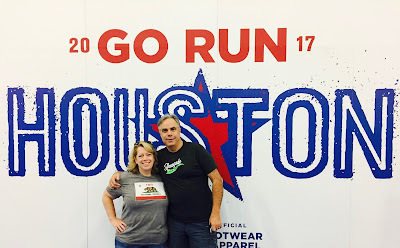 Lululemon wasn't at the Houston expo this year; they were missed by several runners in our group. This looks like a fun expo, much like Chicago! It's hard to get excited about anything less! 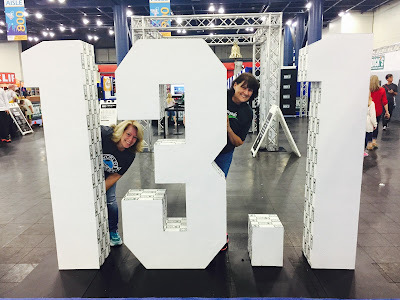 What a fun time at the expo! It's good you knew to go early before things sold out! I wonder if my friends who ran were able to get anything - I think they went later Saturday. That "okayest" shirt! Hilarious! I love when they have all the runner names printed out like that! There were lots of long sleeved shirts left...somehow, no one was buying them in the heatwave that we were experiencing! Haha, I feel the same way! I swear after Austin's half yesterday...Im thinking and rethinking my FULL PLANS in april. Love that shirt! Totally you. 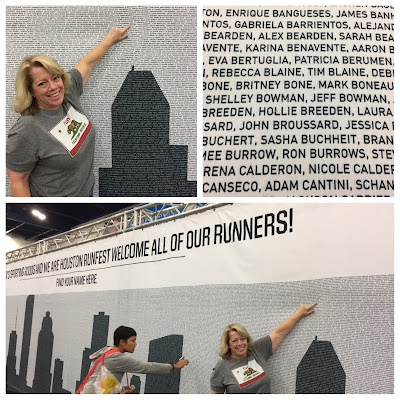 And I like it that all the names of the runners are displayed, very cool.